Come along to the very first Pedal Car Race for Hampshire and Isle of Wight Air Ambulance! Bring your pedal power to the start line and get ready to race around the fastest motor circuit in the UK, Thruxton Race Circuit; home of Hampshire and Isle of Wight Air Ambulance. Invite your friends and family to come and cheer you on. There will be food, activities and games for them to enjoy and a children’s drag race at the end. Teams of 4 people are invited to bring their home built pedal car to race against other teams on the day. Each team member must complete one lap of the race circuit (a lap is 2.4 miles). The winning team of our first Pedal Car Race will take home the HIOWAA Pedal Car Cup! Each team will have access to the pit garages for any repairs and must have a designated mechanic in the garage at all times. Teams can arrive from 8am and Pedal Cars must be onsite by 10:30am. Spectators are welcome from 11am. Team entry is £100 and we kindly ask the team to set their fundraising goal at £500, all of which will go towards keeping the Air Ambulance flying and saving lives. 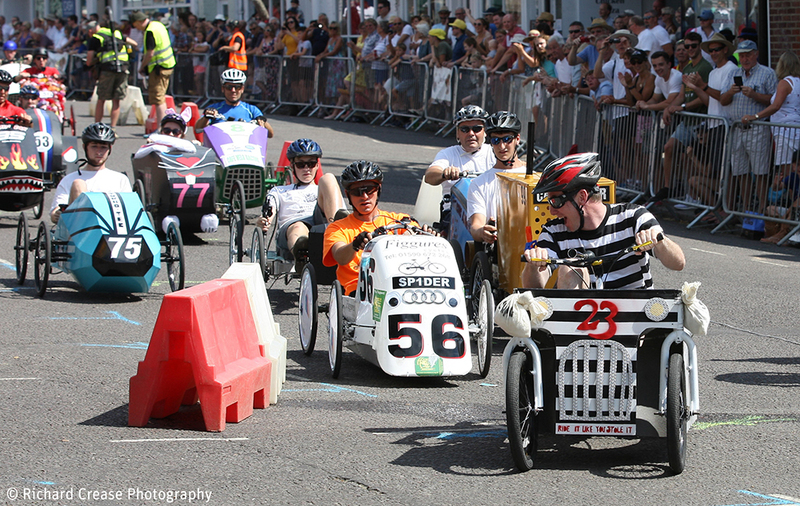 Please read the Pedal Car Race – Competitor Handbook before registering. Children aged 5 and over are welcome to race the final straight of the circuit in a pedal car (approximately 100 meters). Entry is £10 and is payable on the day. Under 10’s £1 donation Payable on the day. Cash only event on the day. Can your company help support our event program? For more details contact Nicole on nicole@hiowaa.org or call 02380 743510.